A nice alternative to a hotel as an accommodation for travellers is the short term condo rentals. Vacation rentals as most often used term for this type of accommodation is where one rent out an apartment, house, villas or condominium on a temporary basis. 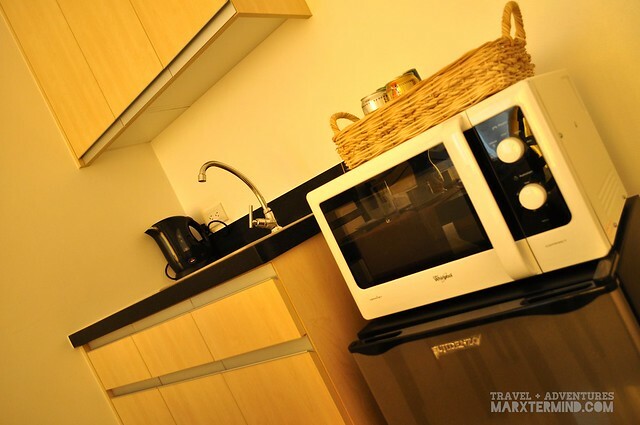 This kind of accommodation is now becoming a popular travel option especially for budget conscious tourists, and one property in Metro Manila that I had discovered that offers such kind of accommodation is My Dian Suites. 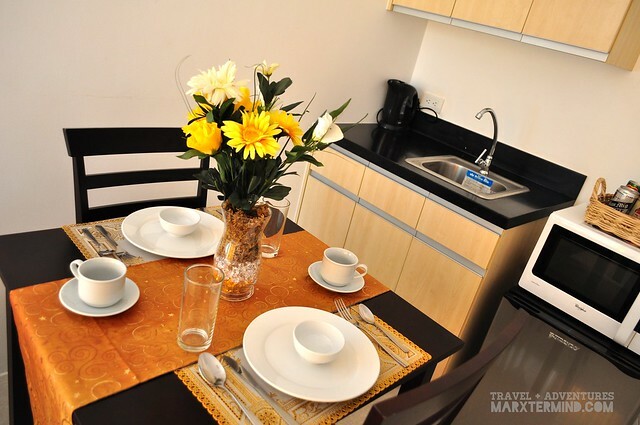 My Dian Suites is a 6 storey residential condominium located along Dian Street in Makati City. 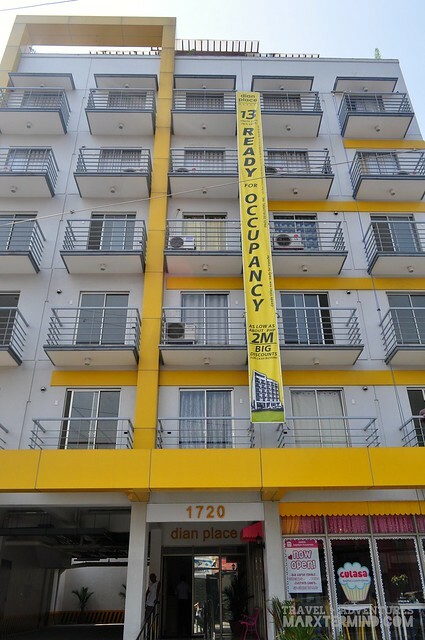 It has 20 fully furnished units for short and long term leases. The property is a perfect option for travellers searching for a pleasant yet affordable accommodations within the heart of the metro. After spending the past weekends partying, drinking and staycationing with friends, I’ve thought of spending a weekend differently by checking in to My Dian Suites and experience some space and privacy. I arrived Saturday afternoon at the property. I was welcomed by the staff and had informed him about my reservation. Just like any normal type of accommodation or hotel, I was asked to fill up a form and present an ID for verification purposes. The property ask its guests to deposit a certain amount of money for security deposit which is refundable upon check out. After settling everything in the reception area, I was then taken to my room which is located at the 6th floor. Then here’s my room. The room where I had spent a quiet weekend by lounging around. The room is very nice and simple. It is so pleasing and cozy that I had ended up being in my room for the entire stay. I only went out to eat and to buy something. 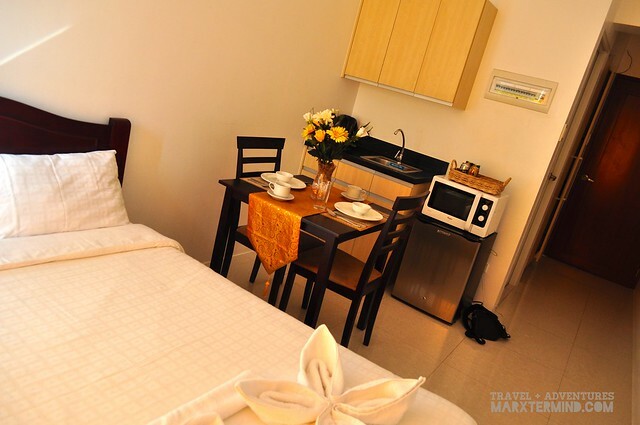 The room is equipped with kitchen and basic appliances (like refrigerator, water kettle and microwave oven), private toilet and bath with hot and cold shower and basic toiletries, TV and air-conditioning, dining table and chairs, double size bed with linens and bedroom cabinet. Wifi is also available in the room. Staff are friendly and very accommodating. They are always ready to help about the accommodation needs and instructions about operating the facilities. They are also available to give information about direction and places to visit nearby. 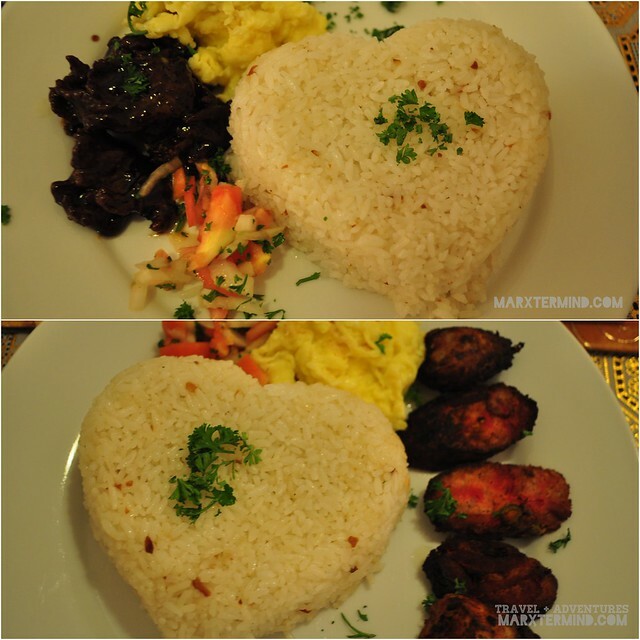 My Dian Suites also offer array of food choices for breakfast, lunch or dinner. Breakfast is being served until 10:00 AM. 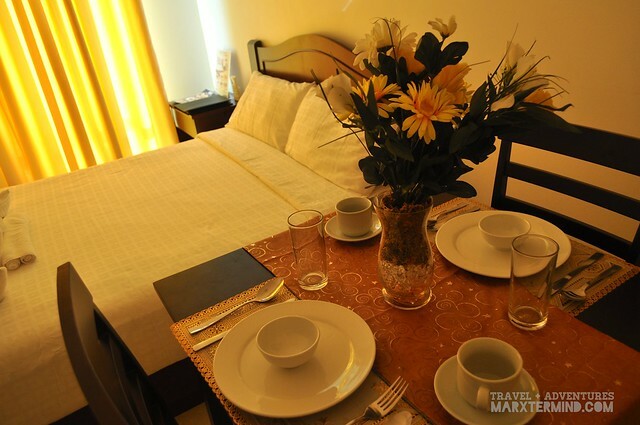 My Dian Suites is certainly a great choice of accommodation when traveling to Metro Manila. 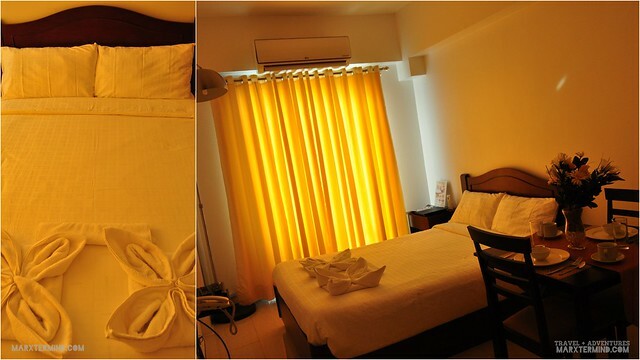 It has more than the basic room amenities yet in an affordable accommodation rate. 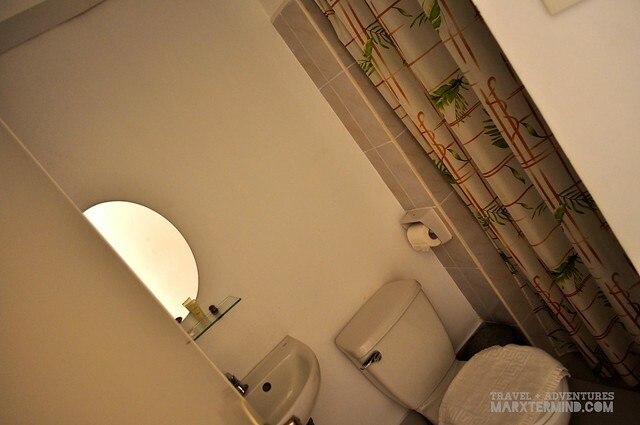 It is also a great option if you’re looking for a place in the heart of the metro to spend a night to be away from its craziness and just have some quiet time. My Dian Suites is a property being managed by My City Suites. For discounts, book your stay on this hotel through this link. Do they have a swiimming pool? Hi may I know what type of room is this? Thank you for the time you have taken to write such a wonderful review about Dian Suites. It has been always our pleasure to provide memorable experiences to all our valued clients and we are very delighted that you have experienced that during your stay with us. True, kaya nasa kwarto lang ako maghapon. hehehe!